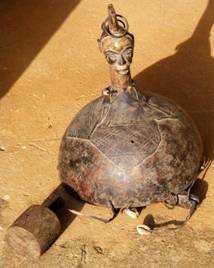 The Ekoid-Mbe languages are spoken principally in SE Nigeria and in adjacent regions of Cameroun. Mbe [M̀bè] is a single language spoken in seven villages in Ogoja LGA, Cross River State, Nigeria. The Ekoid languages consist of around closely-related 19 lects, the majority of which are spoken in Nigeria. In recent years, some speakers of nine Ekoid lects have resolved to unite under the umbrella term Bakor. The Bakor people speak Nkim, Nkum, Ekajuk, Nnam, Abanyom, Nde, Nta, Nselle and Efutop. This follows the common practice of writing their name with two ‘l’s (e.g. on village signs). The 15th edition of the Ethnologue uses only one ‘l’ (Nsele) because it is not a long consonant ( [ńsə̀lè] not [ńsə̀lːè]).